The edges of weed lines are great places to find nice summer bass that aren’t in deep water. Deep brush piles and other forms of wooden cover can hold plenty of Santee Cooper crappie during August. 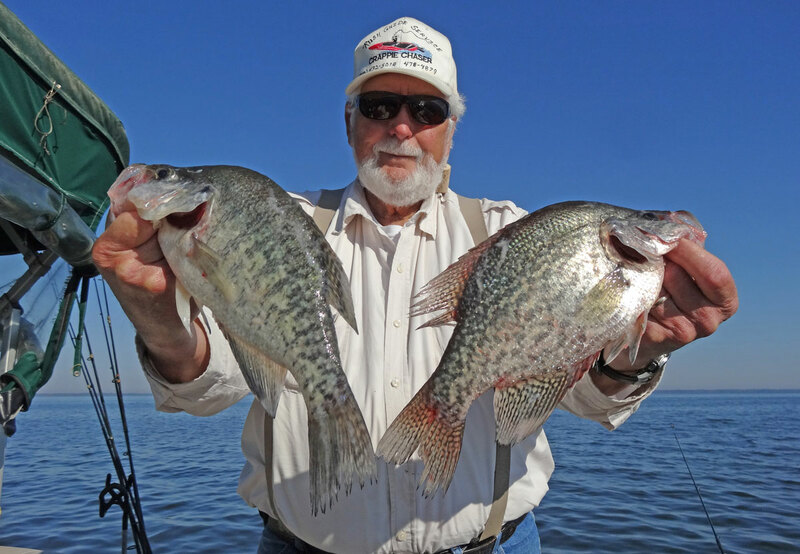 August delivers “crappie consistency” to the Santee Cooper lakes. With water temperatures near or at the zenith for the year, slabs are ganged up around identifiable underwater targets in both Lake Marion and Lake Moultrie. Expert anglers have found different ways to catch these fish, but any technique relies on first locating them, and that’s usually requires some deep thinking. They are usually found in big groups in small areas. Veteran guide Buster Rush said the action is very consistent during August, and working deep brush piles typically results in excellent catches of crappie. “The typical pattern for August is deep water, but necessarily the deepest water,” Rush said. “Despite the heat and high water temperature, the fish are not always in the deeper water in the lakes, contrary to what some fishermen may think. The crappie will orient to specific depth zones, and on Lake Marion, I’ve found that to range from 12 to 22 feet deep this time of the year. The depth range is typically a little deeper on both ends of the scale in Lake Moultrie. Rush (803-432-5010), along with his son, Russell, guides out of Goat Island and the Taw Caw Creek area, but he’ll fish all over Lake Marion, especially the lower two-thirds of the lake. His primary fishing pattern is working deepwater brush and other woody object such as trees and stumps out of his pontoon boat. Rush and other guides typically rely on brush piles placed in the lakes, as well as some natural areas they have found. In addition, 35 public fish-attractor sites are being or have been totally refurbished through a cooperative effort with Santee Cooper, SCDNR and Santee Cooper Country tourism. These sites are also very productive for crappie fishing and are a great place to begin your search if you don’t have a guide or have little experience with this technique. 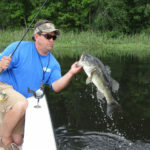 For specific GPS locations contact Santee Cooper County (803-854-2131) or visit www.dnr.sc.gov/fish/fishattract. 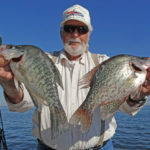 Rush said although crappie are not always caught in real deep water; the best brush piles for August fishing are those along drops and ledges near deeper water. Rush said another method is to use jigs. Because of the light bite of summertime crappie, more finesse is required. Rush said it’s a good time for big slabs as well as plenty of fish. He said during hot weather the average size is quite good, and he’s also usually able to cull to improve the catch. 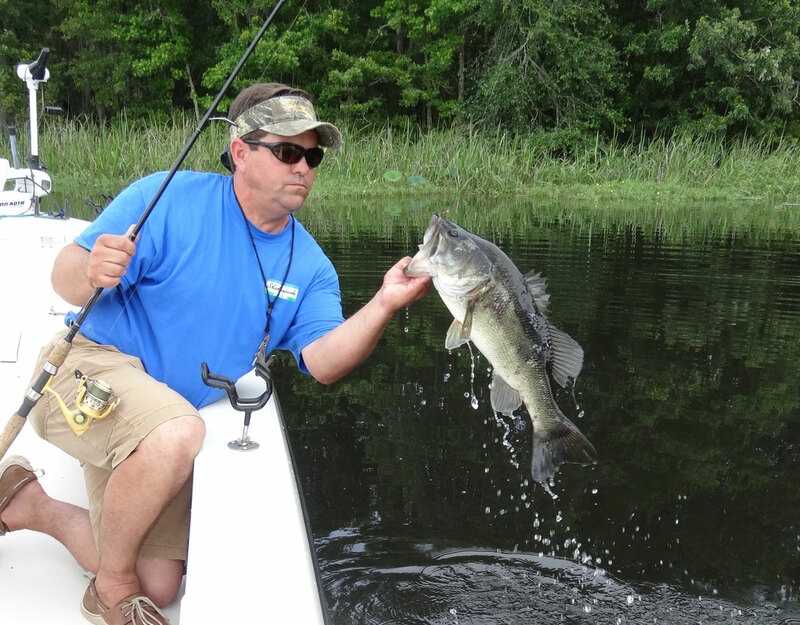 Fishing for largemouth bass is very good in August, with heavy cover in shallow water the key target. The big-bass bite is not as consistent as earlier in the year, but some fish in the 7-pound plus class are typically taken around the edges of weed lines that drop into slightly deeper water. 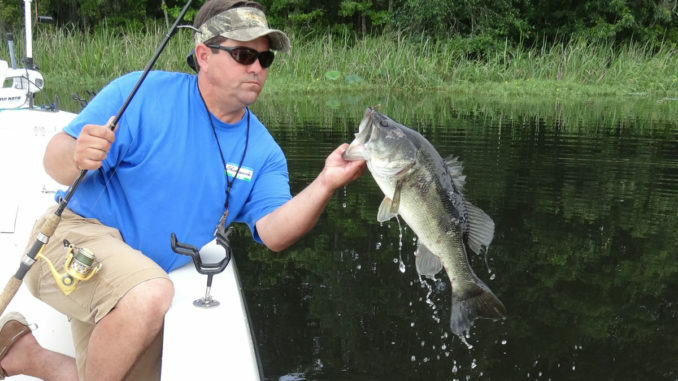 A drop from 5 down to 8 feet is plenty to hold big bass around heavy cover. Bottom-bumpers are great most of the day, but shallow-water action can occur early and late. Catfish action is typically good in August, with the Diversion Canal producing good action, as long as ample water flow exists. Also, the deeper areas of both lakes will provide excellent fishing for big blue catfish while drifting. 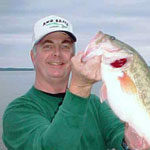 Cut shad, herring and white perch are all excellent baits. Most anglers targeting big flatheads will anchor and fish specific humps or deep holes with live bait. No one in Santee Cooper Country forgets that deer season opens in mid-August in many areas, and the hunting is typically very productive for a few days at the beginning of the season. Whether you hunt with a bow or gun, excellent hunting is available around the lakes. Terry Madewell of Ridgeway, S.C., has been an outdoors writer for more than 30 years. He has a degree in wildlife and fisheries management and has a long career as a professional wildlife biologist/natural resources manager.